The project was financed by the IPA Cross-Border Programme ‘Greece - FYROM 2007-2013’. It is considered as an important effort to protect the environmental resources in the “Greece-the former Yugoslav Republic of Macedonia” cross-border area, through an innovative strategic approach for the systemic management of the territorial environmental problems as well as their operative factors. Consortis was coordinator of the whole project and responsible for a) the recording and monitoring of the socioeconomic statues and the existing land uses in the study area (i.e. 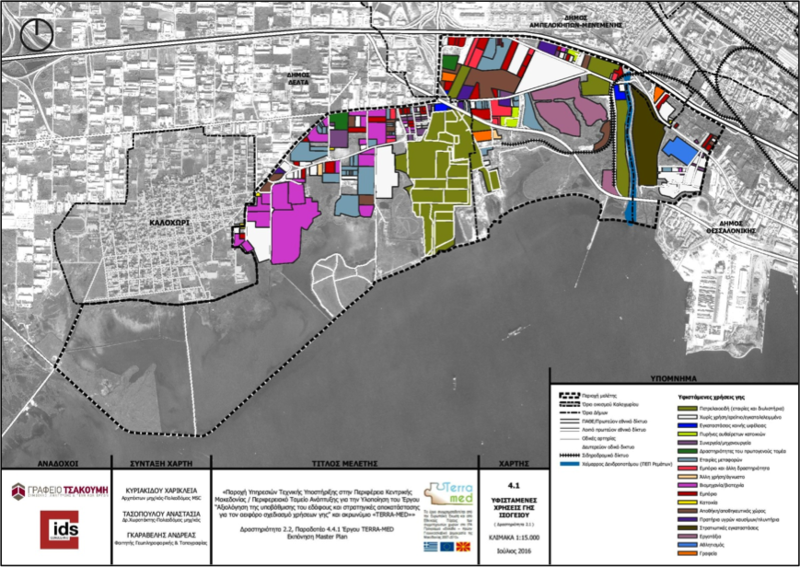 the western part of the coastal zone of Thessaloniki), through a customized spatial database and a client GIS application considering at the same time the current planning provisions and b) the development of a master plan which aimed at formulating a spatial vision and a specific strategy for the future development of the area, considering the legal framework, the already existing policies and strategies, and the existing land uses and institutional restrictions. The analytic hierarchy process, combined with GIS, has been used to conduct land suitability analysis and to support decision-making.